Houghton Hall in Norfolk hosts a major exhibition by celebrated British artist Richard Long. Titled 'EARTH SKY', the exhibition features specifically commissioned new works and runs from 30 April until 26 October 2017. Richard Long is one of the most influential figures of conceptual and land art, part of a generation of distinguished British artists who extended the possibilities of sculpture beyond traditional materials and method. His work is rooted in his deep affinity and engagement with nature. The artist’s new works in the grounds of Houghton Hall use a variety of materials, including local Carr stone, flint from East Anglia, tree stumps from the Estate, as well as slate from Cornwall. They accompany the permanent Long sculpture, Full Moon Circle, which was commissioned for Houghton in 2003. There will also be large mud works in the outdoor colonnades, and smaller-scale works in gallery spaces, as well as historic material relating to the artist’s career. 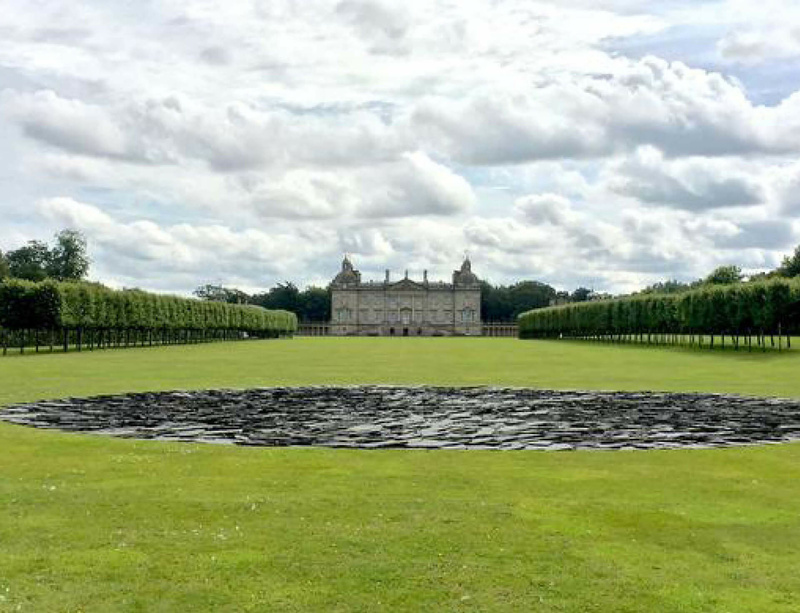 Click here for more information on EARTH SKY: Richard Long at Houghton Hall.